Every wine lover has pondered the question….What can I do with leftover wine? The natural answer would be to drink it, so how can we protect it to best retain it’s flavor and acidity in order to enjoy it in the next day or two? All wines will be “drinkable “ for at least 24 hours if you recork them solidly, remembering that the more wine in the bottle, the longer it will last. Keeping a couple of empty “split” or half bottles available are a way to retain leftover wine longer, since a fuller bottle limits the amount of air and slows down the oxidization process which turns the wine to vinegar. Refrigerate white wine and keep red wine on the counter. 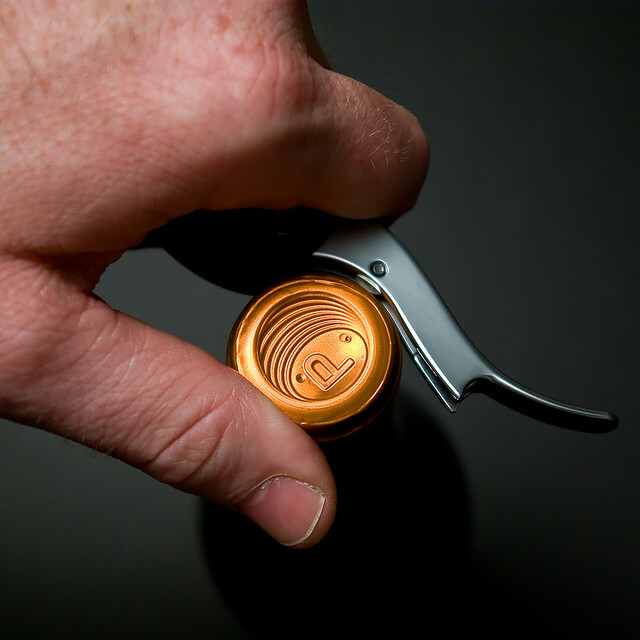 There are also assorted metal corks, vacuum and nitrogen gadgets and wine stoppers on the market, which promise to insure a longer life for uncorked wine. This is mainly a trial and error process, but if you are not planning to finish the bottle in a couple days, the ideal is to cook with it. 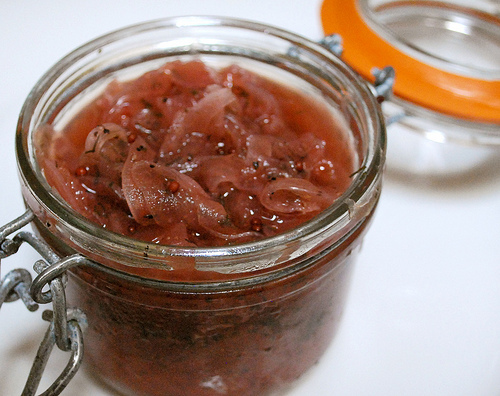 One of my favorite recipes for leftover full bodied red wine is a red onion salsa that is delicious with red meat or poultry, excellent as an omelet filler or delish over a soft brie style cheese such as l’Edel De Cleron which is a pasteurized cow’s milk cheese or a simple fontina. Heat oil in a saute pan large enough to hold all ingredients. Add the onions and salt and pepper and cook at medium heat until they “sweat” for about 5 minutes. Add the red wine, lemon juice and rind and let it cook at low heat until the liquid is reduced. Add the agave mixture to the onions and cook at a low heat until all the liquid is absorbed for about 10 to 15 minutes. RAISE YOUR SPIRITS AND GET THE DISH!